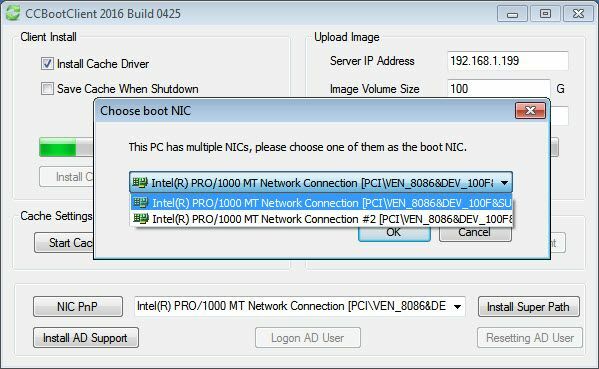 CCBoot supports diskless booting client PCs which have Dual NICs. Note: CCBoot does not support booting from Wireless LAN. 1) The client PC is installed of hard disk drive with operating system and also the two Network card. Notes: In newer version of CCBoot, you do not need to disable second NIC before installing CCBoot Client. 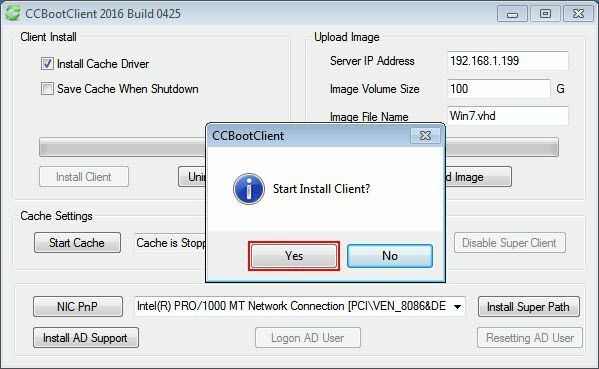 2) Install CCBoot Client, click "Install Client", then press “Yes” button to start installation (see Figure 1-1). 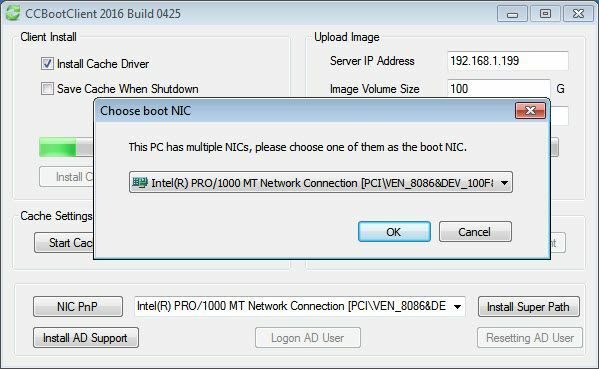 3) Now, A pop up dialog box will open and will ask which NIC to use for booting client diskless (as in Figure 1-2). 4) Click the drop down and choose the NIC you want to use to boot the client from (as in Figure 1-3). 5) Click “OK” to continue with CCBoot Client installation. 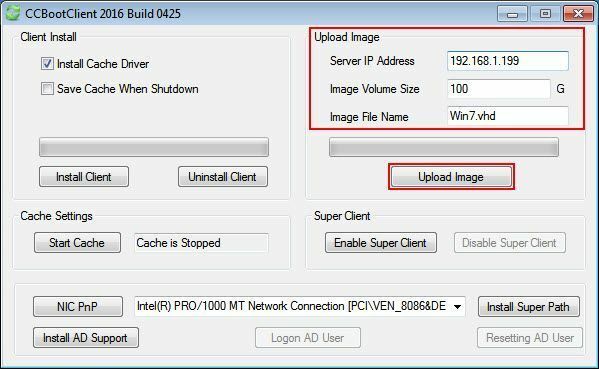 6) Once installation is complete, Fill in the Upload image fields and Click “Upload Image” button to upload the image (as in Figure 1-4). Note: If you want to make use of both NIC then you need to set Static IP on the main NIC use for booting and leave the second NIC for DHCP. This way, you can use both NIC for internet access or for networking purpose.